Materials science and manufacturing process is one of the significant symbols of modern day’s high-tech revolution. The technological developments in the materials science paves the road for advancements in materials science and manufacturing technology across the world. Materials are the key factor for the emerging industries of all kind. In order for new material to get the actual application, exquisite preparation and manufacturing must be processed. No doubt manufacturing is critical in every walk of life. With rapid development computer technology, communications technology and network technology, traditional manufacturing process has evolved to intelligent manufacturing which is more intelligent, more precision and more efficiency. 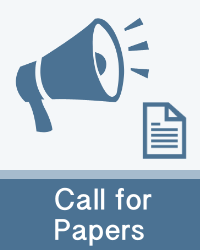 The scope of the First International Conference on Materials Science and Manufacturing Technology 2019 (ICMSMT 2019) is to provide a forum for researchers, scientists, academicians, scholars and practitioners around the world to present papers on recent developments in the broad fields of Materials Sciences and Manufacturing Technology. It also provides a premier interdisciplinary platform for researchers, practitioners and educators to present and discuss the most recent innovations, trends, and concerns as well as practical challenges encountered and solutions adopted in the fields of Materials Science, Engineering and Manufacturing. ICMSMT 2019 is jointly organised by Sri Shakthi Institute of Engineering & Technology, Coimbatore and M/s. Diligentec Solutions, Coimbatore, India. The conference will be held at the Hotel Aloft, Coimbatore, Tamil Nadu, India during 12 – 13, April 2019. Coimbatore is well connected by the road and rail with the Indian cities and air with the international destinations. 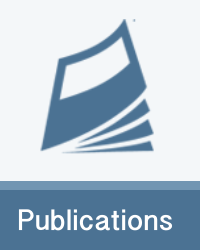 Publications: All the accepted and registered papers of ICMSMT 2019 will be published in the IOP: Materials Science and Engineering (a conference proceedings journal) which is indexed in CPCI – Web of Science (Thomson Reuters), SCOPUS, Inspec, International Nuclear Information System (INIS), NASA – ADS, Chemical Abstracts, Polymer Library, etc. Click here to view the ICMSMT 2019 listed in the official website of IOP Science (under forthcoming volumes of the proceedings journal MSE). ICMSMT 2019 invites full length original research contributions from science, engineering professionals from industries, R&D organisations, academic institutions, government departments and research scholars from across the world. Full length original research contributions (click here for topics) and review articles not exceeding six pages in the single column format shall be submitted. The manuscript template shall be found in the downloads section. The manuscript should contribute original research ideas, developmental ideas, analysis, findings, results, etc. The manuscript should not have been published in any journals/magazines or conference proceedings and not under review in any of them. Further the manuscript should contain the name of the corresponding author with e-mail id and affiliation of all authors. Soft copy of the full length manuscripts (in .doc and .pdf) along with all technical supporting documents in the single column format shall be submitted to icmsmt2019@gmail.com. Each submitted manuscript will receive a unique paper id. The manuscripts will be initially screened to check for the conference scope and originality. 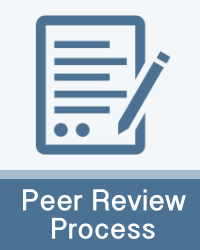 All the submitted manuscripts will be sent for technical peer review process and the corresponding author will be notified the outcome of the review process. ICMSMT adopts double blind review process. If reviewers recommended for further improvements in the manuscript, the manuscript will be sent back to the corresponding author and the revised version of the manuscript shall be submitted within fifteen days on the date of notification. The final decision on the manuscript will be announced after the third round of evaluation by the technical program committee. The registered and presented papers of the ICMSMT 2019 will be published into the book of conference proceedings and the hard copy of the book of proceedings will be given to the participants during the conference. All the accepted and registered papers of ICMSMT 2019 will be published in the IOP: Materials Science and Engineering (a conference proceedings journal) which is indexed in CPCI – Web of Science (Thomson Reuters), SCOPUS, Inspec, International Nuclear Information System (INIS), NASA – ADS, Chemical Abstracts, Polymer Library, etc.